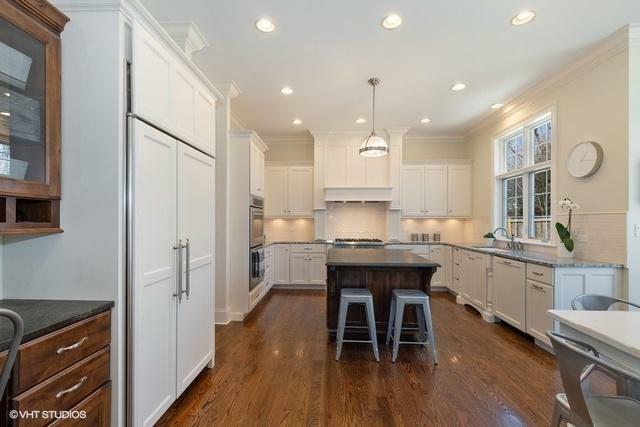 Spectacular Oxford Dev built 4 bedrm, 4 full & 2 1/2 bath home located in ideal NE Deerfield. High-end finishes, custom millwork & craftsmanship thruout. 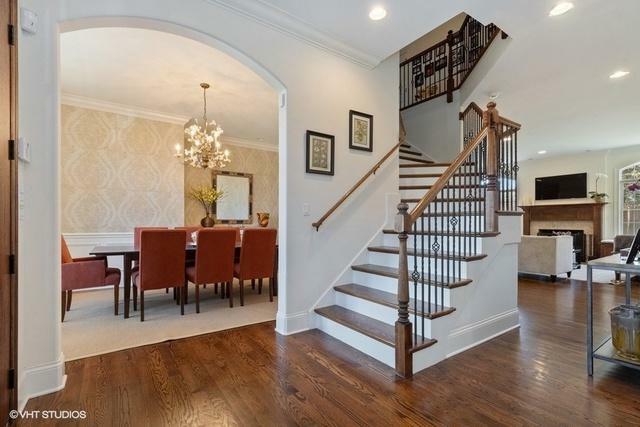 1st flr has liv rm w/coffered ceiling, formal din rm w/butler's pantry, fam rm w/frplc, wood paneled office & powder rm. 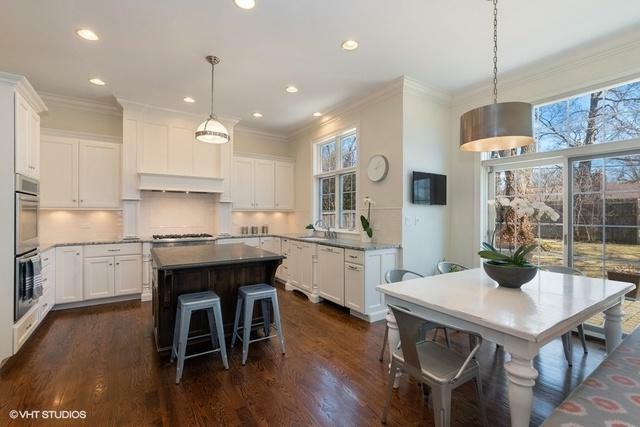 Cook's kitchen w/custom white cabinetry, granite counters, lg island, high-end ss appliances, eat-in area w/banquette & desk. Mudrm adjacent to kitchen w/walk-in pantry, laundry rm, built-in lockers, 1/2 bath & access to 3 car garage. The master suite has 2 walk-in closets & 2 master bathrms w/shared shower. Bath 1 w/limestone floor, custom wood vanity w/granite counter & commode. Bath 2 features limestone floor, custom white wood lg vanity w/limestone counters, whirlpool tub w/limestone decking/onyx surround & commode closet. 3 add bedrms, 1 w/en-suite bath & other 2 bedrms share a jack & jill. Lower lev w/rec rm, gym (or 5th bed) & full bath. Prof landscaped yard w/mature trees & patio. Nothing to do but unpack!